Overhaul your taxi business operations by implementing a feature-packed taxi dispatch system for higher efficiency and control. 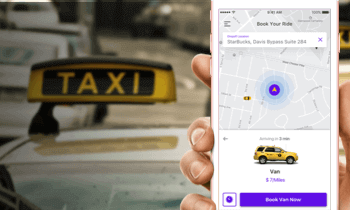 Start a cab aggregator platform that connects passengers to nearby taxi drivers via your branded ride-hailing app. Partner with other taxi businesses in your area to launch a white label taxi app that provides greater reach and capacity. Use a taxi dispatch system that comes with feature-packed taxi booking apps for your customers to book, track and enjoy their rides. The apps and the taxi management software is branded for your taxi business. Native taxi booking app experience on both Android and iOS smartphones. Passengers can register themselves easily with email or mobile number verification. Real-time ride request dispatch for ride now requests. 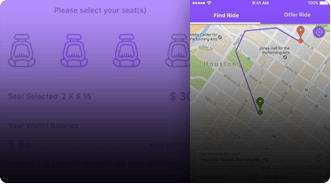 Passengers can schedule a ride for a later time and location for planned travel. Customers will get complete details about the driver and cab assigned to them. 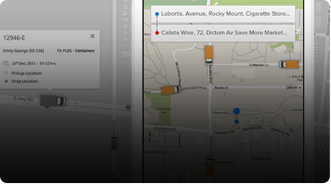 Cab can be tracked in real-time on an interactive map accurate arrival times. Show your customers upfront fares based on their pickup and drop details. Ensure your passenger’s safety and faster actions with in-app emergency button. Customers can easily redeem a promo code during the booking flow itself. Increase customer acquisition by running a referral program for your taxi app. Customers get multiple payment options to choose from and pay for their ride. Real-time updates on ride requests and trip status with push and SMS alerts. Customers can rate their trip experience and provide you useful data points. 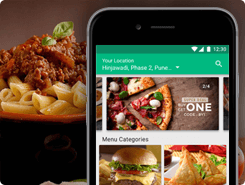 Customers can easily share their journey details with friends and family. Dedicated menu to easily manage all past and upcoming bookings. Customers can mark their home, office and frequently used pickup locations. Option to pick a place from search history, saved places and autocomplete. Book a ride for a friend or family member in a different location or in need. Customers can view and update their details, manage payment methods and more. FAQ screens and feedback and support menus for any customer queries. Quick toggle between personal and business profiles for record keeping. 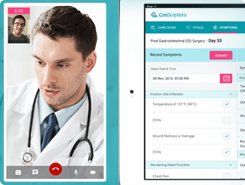 Allow customers and drivers to directly contact with in-app messaging feature. Enhance customer privacy by hiding their contact numbers during driver calls. Offer dynamic pricing to handle high cab demand and optimize dispatch. 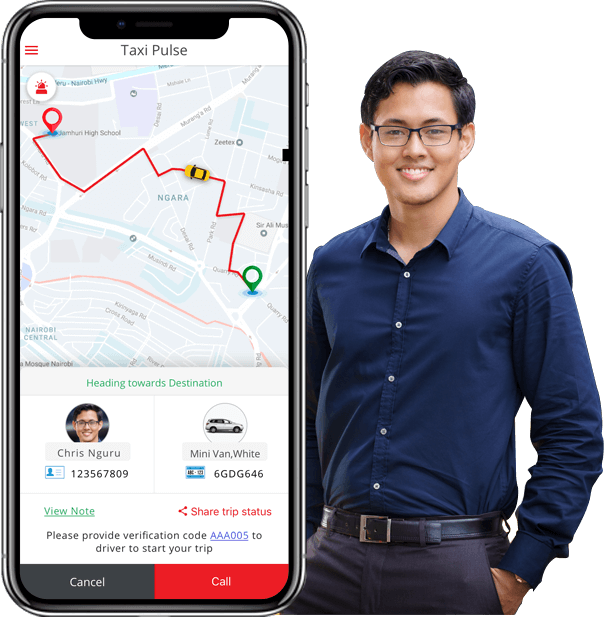 Your driver network gets a dedicated, native Android or iOS app to receive new ride requests from passengers either through automatic dispatch or manual dispatch needed. Drivers can securely log into the app with the credentials assigned after approval. Drivers can mark themselves online or offline for service in a single tap. New requests are dispatched to drivers with relevant details to take action. Intuitive interface for accepting new ride requests in a limited timeframe. All the relevant details like pickup location and passenger info are provided. With Google Maps navigation integration, drivers can smartly complete any trip. Prominent buttons to easily mark a trip’s arrival, start, and completion. Earnings reports, useful insights about driver performance, trip feedback, etc. Drivers get a detailed view on daily trips and earnings for maximum transparency. Drivers also get the option to rate their pickups to create an inclusive model. Drivers can choose the cash option when customers want to pay by that mode. During an emergency situation, drivers can also use the panic button for help. 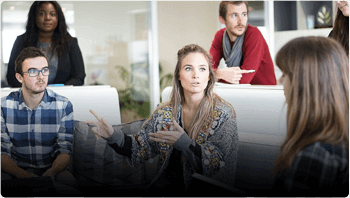 Enable your driver fleet to get their issues resolved by connecting with support. New drivers can upload their documents and complete registration from the app itself. Drivers can provide their destination choice to get requests in that direction only. 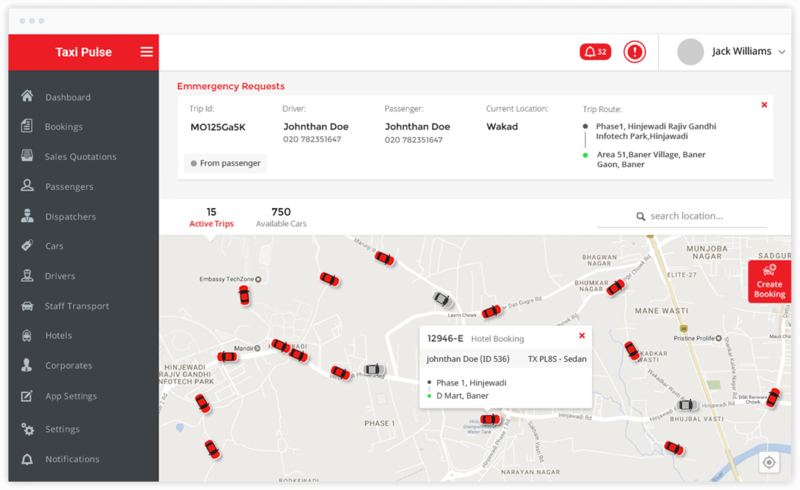 A powerful web-based taxi dispatch system tailored to the unique requirements of every taxi or fleet business that provides a one-stop destination for managing dispatch operations. 2-factor authentication to get secure access to your business's admin panel. Quickly get a high-level operational overview with stats, KPIs and more. 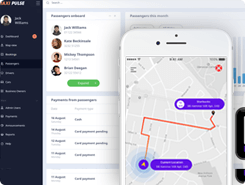 A dedicated section to manage all taxi dispatch requests in real-time. Assign and control granular access levels to multiple users of the dispatch system. An intelligent feature to automatically assign new trips to the most suitable driver. Get greater control on dispatching new requests with an optional manual mode. 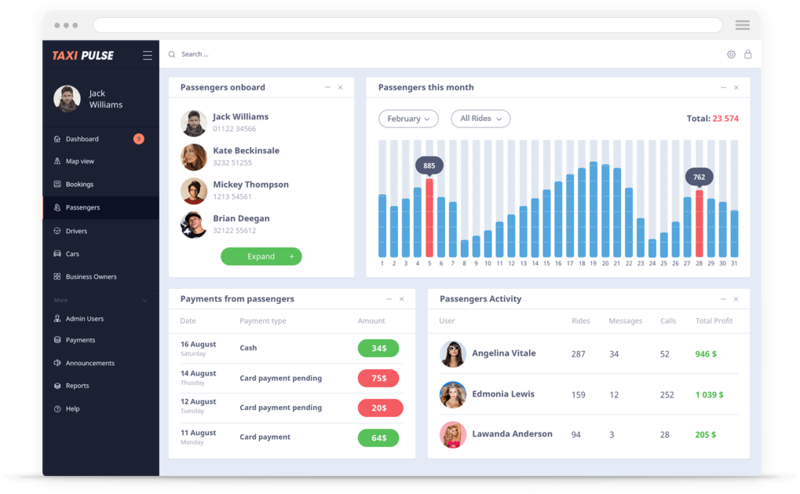 Driver management features like approvals, trip data, tracking, payments and more. View and manage registered customers, booking requests, queries and more. 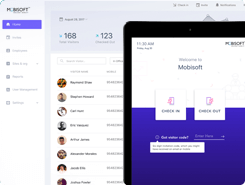 Add and manage a team of operators to handle manual booking requests. Add all your vehicle fleet information into the system and manage them seamlessly. Define and manage multiple booking options for your customers to choose from. Set and manage the rates based on vehicle category, wait times, distance and more. Track all your vehicles and drivers on a live map for full operational control. Define your operational area by creating geofences and accordingly get requests. Manage your own payments, driver payouts and commission rates and more. Configure settings for push notifications, SMS alerts and, email updates. 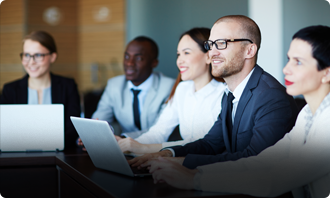 Get actionable insights and detailed reports for data-driven decision making. Offer a mobile web booking channel for your customers as an added option. Integrate call bookings into your taxi cab dispatch system when required. Use meter based taxi fare calculation to meet regulatory requirements. Tailor your app to your customer base preferring RTL languages for use. Add and manage flat fares for predefined pickup and drop locations. Run and grow your taxi business simultaneously in multiple locations. We will help you set up a robust taxi management software system that is tailored to your specific needs and affordable to implement. Fully branded customer and driver dispatch apps that can be customized further as per the requirements. A pre-built dispatch management solution that significantly minimizes project cost and deployment time. Solution will be set up on your own servers to allow complete ownership of the generated user data. We are a globally trusted taxi dispatch software supplier with 20+ taxi solutions successfully deployed. Built-in support for multiple languages and currencies allows taxi businesses to operate globally. With an extensive list of payment gateways supported out of the box, accept payments anywhere anytime. Our taxi solution design team will create user-friendly customer and driver apps and simple to use admin interface. Our base solution supports up to 50000 rides/day. We can quickly increase the capacity as per the demand. An end-to-end taxi dispatch management software solution with dedicated support for the entire lifecycle. A comprehensive and tailored process from knowing about your solution requirements to successfully launching your apps on the app stores. Comprehensive analysis of your complete dispatch process to serve better. Get the payment gateway integration of your choice anywhere in the world. Push notifications, email updates and SMS alerts configuration. Leverage data by making the most of built-in analytics support. 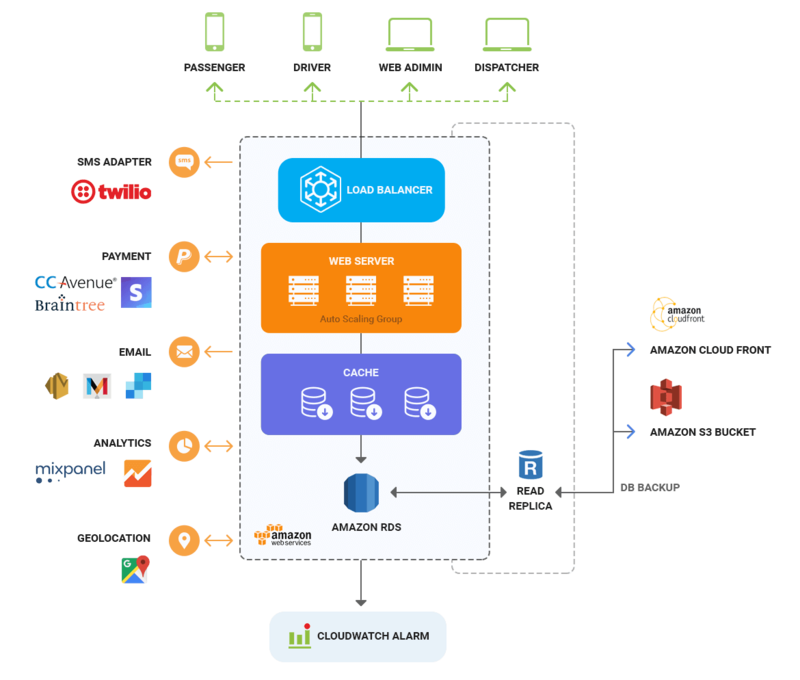 On-premise deployment of the solution with secure data backup. Successful listings on app stores and optional app marketing services. Full technical support and maintenance services come part of the package. 20+ custom taxi app solutionssuccessfully delivered to our startup and business clients. Here are some of our best work. 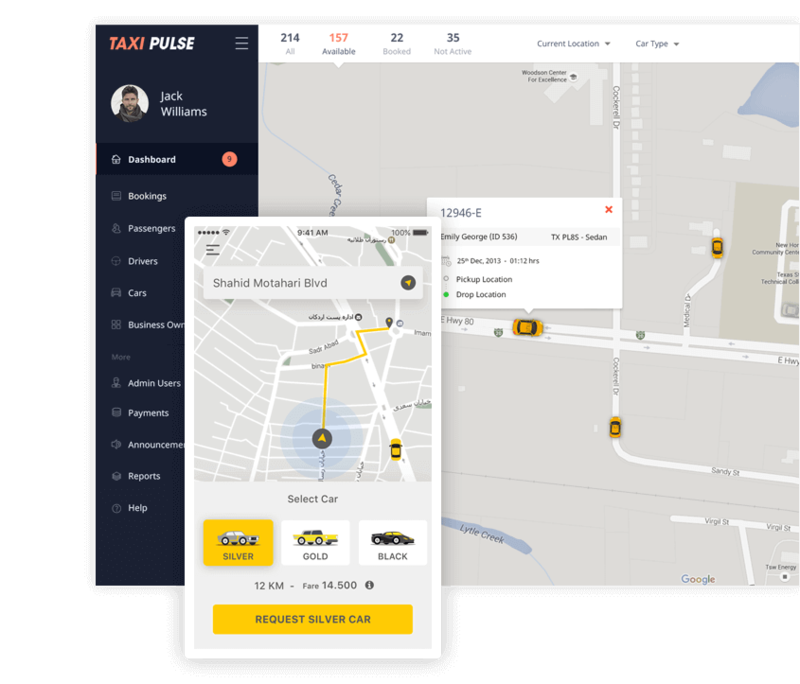 A robust enterprise-grade technology stack used by our in-house taxi app development team to power your branded taxi dispatch software. 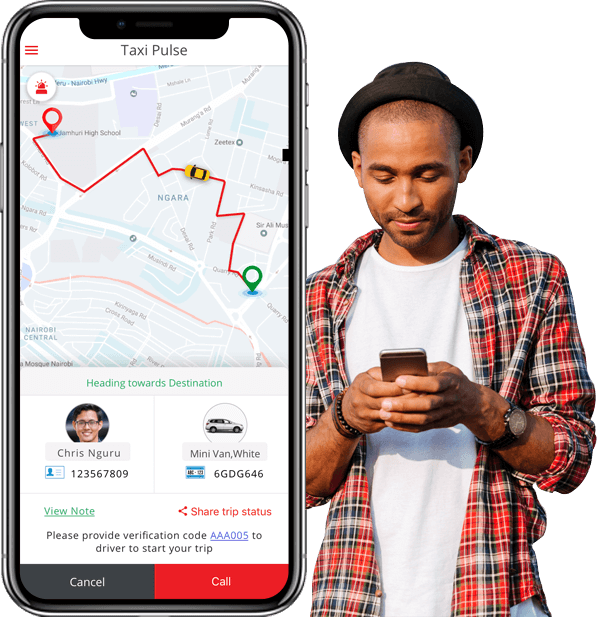 You taxi/fleet business can set up an automated mobile app-based dispatch management system at a very cost-effective price and gain maximum ROI. 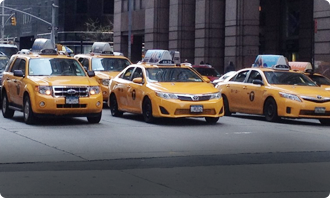 Get a tailored one-time price based on your specific taxi dispatch solution needs. Pay as you go a nominal monthly fee and get the latest taxi dispatch app features for free. 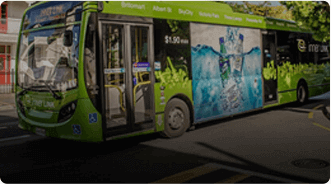 Bus booking app and ticketing system for bus operators to automate operations. Yes. Our taxi and cab dispatch software adapts seamlessly to small, medium or big taxi companies. The admin and dispatcher panel is configurable and customizable to meet the requirements of all taxi businesses. Effortless. Once our team sets it up for you, managing the daily dispatch operations becomes a different experience altogether. Being a white label solution, we customize the dispatch software depending on the specific needs of each taxi company. Mobisoft offers one of the best taxi dispatch software in the market with an affordable and flexible pricing model. There are two pricing options. Your taxi company can either pay a one-time cost and get the software fully customized or go with the monthly subscription plan that offers lower customization options but higher business flexibility. For more details, please feel free to connect with our solution experts. Our team will set up and deploy the solution on your own private servers that ensure full control over the data. Great!! Just send us an inquiry with basic details about your requirement and one of our taxi solution experts will connect with you shortly to draw a plan of execution for your taxi company’s success.